Point and click adventures have always been popular sellers on the Xbox 360 Arcade. Titles such as Sam & Max, Tales of Monkey Island and Wallace and Gromit have graced the console, and in 2009 a rather charming point and click by the name of Axel & Pixel joined them. Created by 2K Play, the game follows a painter named Axel, and his faithful dog, Pixel. The duo live in a cosy cottage in a peaceful location, but their peace is soon disturbed by the appearance of an evil rat. This mysterious rodent transports them into a bizarre and somewhat creepy dream world. Axel and Pixel must now pursue the rat through 24 levels in order to escape back to their cottage. For the most part, each chapter involves navigating Axel and Pixel from the left hand side of the screen to the right. As with all point and click games, there are plenty of obstacles which the player must find and solve before the duo are able to make it across safely. Some involve solving puzzles, whilst clicking other parts of the screen will start amusing animations (which sometimes, are not necessary to complete the chapter, but are enjoyable nonetheless). At times this may feel very challenging, but three clues on each level are available if you find yourself struggling too much. I have never been excellent at point and click games, as those types of puzzles were never my strong point, but in all honesty, I never felt the need to use a hint. Each puzzle should be completed without the aid of hints if you have a little persistence. 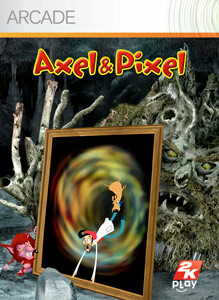 What appeals most about Axel & Pixel is it's art style. The scenery has a dream-like quality, but at also at times looks rather creepy, but not enough to put children off from playing this. A lot of humour and charm is included in the range of characters, which helps to add to Axel & Pixel's enjoyment factor.The great thing about Axel & Pixel is that it is a family-friendly game, but the developers have not completely made the location look childish, or the puzzles too simple. The soundtrack helps to convey the dream-like, eerie quality on display here, and the almost stop-motion animation of the characters not only adds a little comedy to the proceedings, but is rather memorable. The game would have been in danger of becoming too samey if it simply incorporated a "get from a to b" element in each chapter. Thankfully though, Axel & Pixel thankfully avoids the repetition by including in breaks from the point and click game play. These range from Quicktime events, vehicle racing missions (such as steering a sail boat through a course) and a selection of logic-based puzzles, such as fitting pipes together in the correct order. Collectable bones, paint tubes and photos are scattered throughout the game for those wishing to unlock the collectable achievements. Some of these are rather difficult to find at times, so either I suggest you use a guide online to hunt for these, or really scrutinise each section before moving on to the next part. 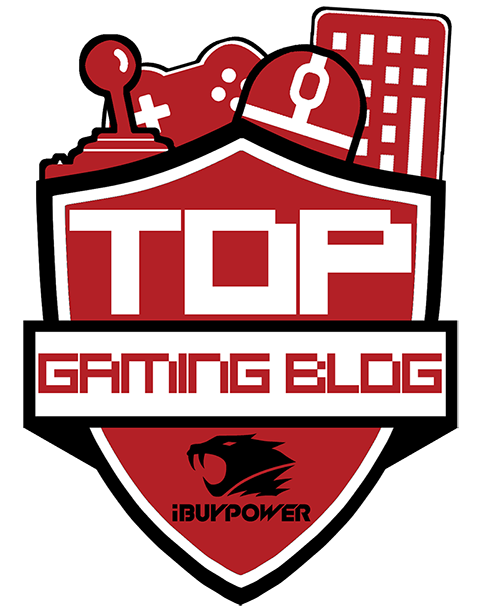 Never fear though, as each level can be replayed from the main menu if you wish to pick up any that have been missed. Overall, Axel & Pixel is a fantastic point-and-click adventure that is incredibly enjoyable and artistic. It is easy to get wrapped up in this dreamy world, but unfortunately, it is all rather short lived. Axel & Pixel can be completed within a few hours, and left me personally wanting another adventure. It has been almost two years since the release of this game, and sadly it appears a follow up is not appearing any time soon. Hopefully the developers will remember that this charming little point-and-click game has so much potential for a sequel, but if not, I would highly recommend checking the one and only Axel & Pixel out.